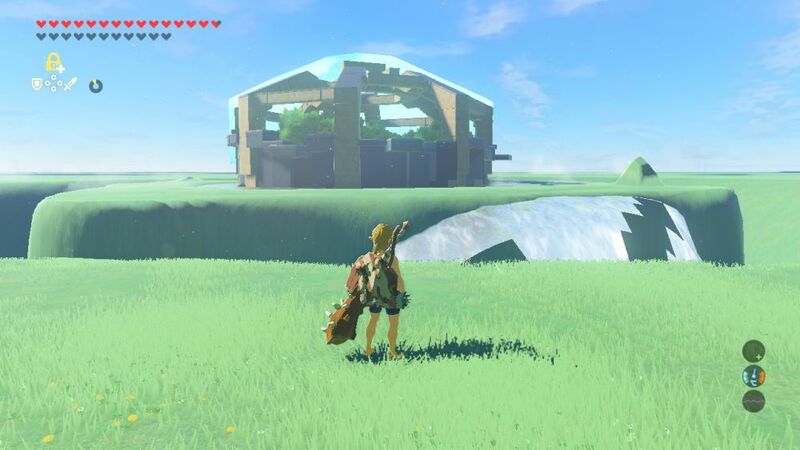 Yesterday, a story went around online that a Legend of Zelda Breath of the Wild player had stumbled across a glitched weapon. This weapon (which supposedly had 65,535 attack power) was supposedly picked up just as the game crashed, causing it to bug out and mess up the damage boost by setting it to its max value. As you can tell, it’s ridiculously over the top. Which made is extremely popular online. GoNintendo wrote about it. Nintendo Everything wrote about it. Heck it even managed a thousand upvotes on Reddit. But here’s the issue; it’s fake. What’s more, there are multiple reasons for this. For example, the oddities in the story. What do I mean by oddities? Well, the guy who supposedly ‘found it’ said he got it from a Gold Lynel in the Colosseum Ruins. However, there’s a problem with this story. Namely, the Gold Lynel there never has a Savage Lynel Sword. He always has a Flameblade, since the highest ranked Lynel in the Colosseum carries one for some reason. So the Savage Lynel Sword couldn’t have been gotten from the Colosseum. Another tell-tale factor here is the lack of clear evidence. Basically, the guy writing about this never shows the entirety of the screen. Yes, there’s an editor that lets you edit things like weapon damage. But it only works on the Wii U version rather than the Switch one, so the hoaxer said it was the latter to throw people off his trail. This is also made clearer by his presence in various hacking communities. The person who created the topic was active on a Discord for Nintendo homebrew, which clearly implied experience with hacking Nintendo games and systems. So when you add other inconsistencies (like those in this Reddit post), you’ve got all the signs of a hoax. But it doesn’t matter now. Why? Because shortly after people started calling it out, the topic creator came back and posted this update. There he admitted he was using a hack to trick people, and said the whole idea was due to him ‘betting’ with a friend that he could get more than 500 upvotes on the Zelda Breath of the Wild subreddit. So yeah, it’s a fake. 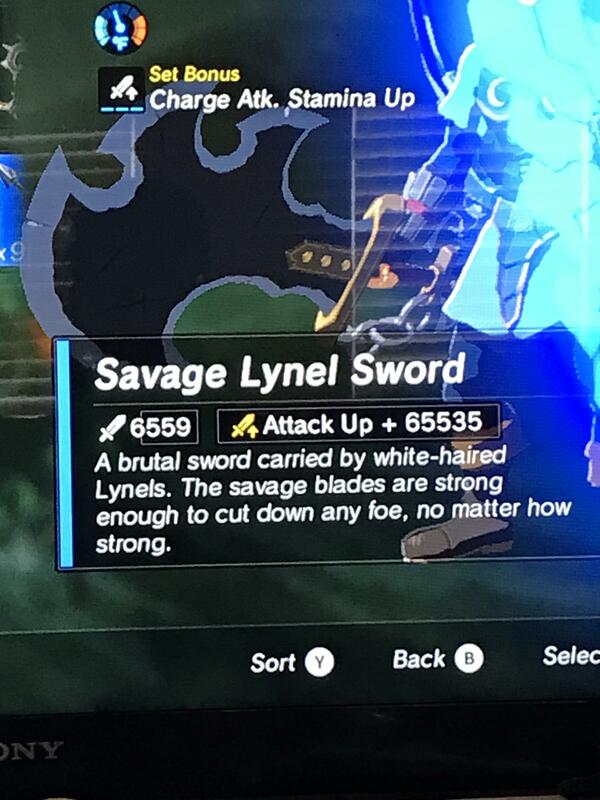 You can’t get a 65,535 damage Savage Lynel Sword by crashing the game as you pick it up. Sorry gaming journalists, you’ve been thoroughly fooled. Still, what do you think about it? 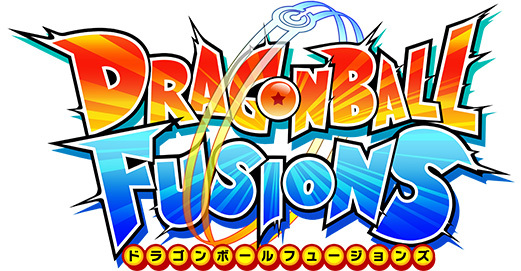 Did you realise this supposed glitch was a fake as soon as you learnt about it? Or was it as surprising to you as it was to everyone else?